If your military kids are like mine, they've dealt with more change in their short lives than others deal with over several decades: moves, deployments and separations from the active duty parent, and dealing with being the "new kid" over and over. 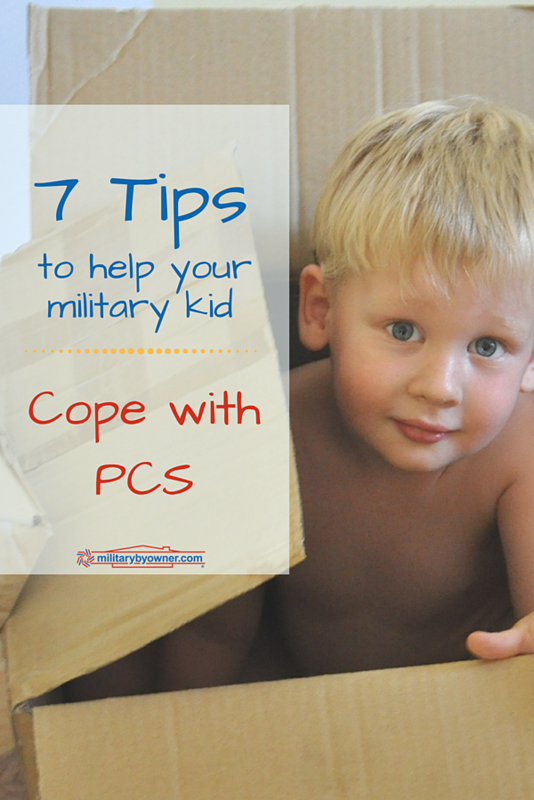 While we can't change the reality and likelihood of military relocation, there are a few things we as parent can do to help our kids cope with the upheaval of moving. Here are a few tips that may help you if you're soon to face a PCS. 1) Let kids help as much as they can. Having some ownership and helping in the decision-making process may ease some of the anxiety and powerlessness they may feel with the upcoming changes. From helping pack boxes to choosing what they'll bring in their luggage, don't underestimate the importance of keeping kids involved in each step of the PCS. 2) Research the new area together ahead of time. Many times, worry over a move may be somewhat alleviated by having information about the new place. Research the new neighborhood, the military installation, and schools together as much as you can online. Most military installations also have social media where you can get a feel for the community. 3) Make time for goodbyes. While some children would rather avoid the emotions that come with goodbyes, encourage them to visit favorite places one last time, take photos, or host a get-together with friends. 4) Connect with a potential friend. Do you know about the Youth Sponsorship Program? Similar to the sponsor program the military has for the active duty member, this program matches up a child with a child "sponsor" at the gaining installation. Having one potential friend could make a world of difference during this time of transition. 5) Keep the conversation going. Your child may seem fine on the outside, but may wish to talk and not know where to begin. Ask questions and check in with your child frequently, even when they seem to be doing fine. 6) Make time for fun! Plan a special outing before you move or along the way as you travel. It's important to create new memories. And while it's easy for us parents to get caught up in all the tasks and busyness of a move, it's important for the whole family to have some downtime. 7) Allow time to acclimate. Let your children set the pace and give them time to process this big change. Encourage them to keep in touch with old friends. Don't expect them to "just get over it." Each child’s temperament is different, which will have a big impact on how they're affected by the move. If you need it, there is confidential help available through Military OneSource. Need more tips on helping your children cope with moving? 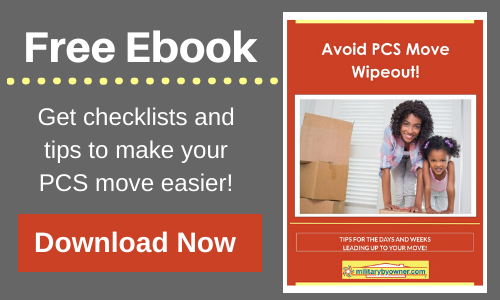 Download your FREE e-book, Avoid PCS Move Wipeout, which contains more on this topic as well as helpful checklists and tips for the weeks and months preceding your move.